*JS735-7, 0-321-08999-5, Papp, Daniel S., Contemporary International Relations: Fireworks for Understanding, 6th Edition*\ The text confronts readers with our rapidly changing twenty first century world that is increasingly complex, diverse, and interdependent. The book combines theoretical constructs with real world examples, vignettes, and case studies to help students form a practical understanding of international politics. 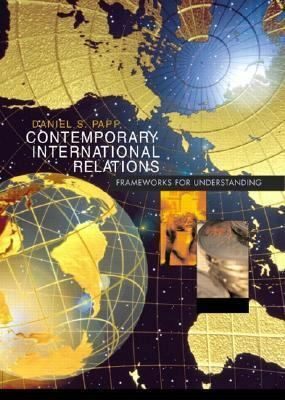 For those interested in international politics.Papp, Daniel S. is the author of 'Contemporary International Relations Frameworks for Understanding', published 2001 under ISBN 9780321089991 and ISBN 0321089995. Loading marketplace prices 6 copies from $81.82 How does the rental process work?